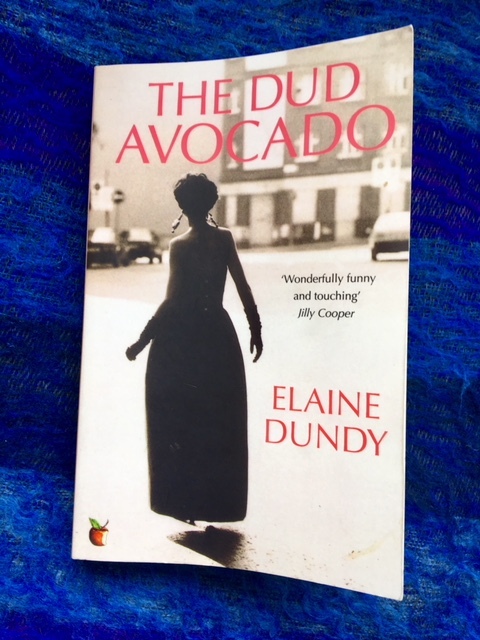 This entry was posted in American Literature and tagged Elaine Dundy, Existentialism, The Dud Avocado, Virago Modern Classics by Simon Lavery. Bookmark the permalink. I didn’t find SJ too irritating until just about two thirds through and that’s when the plot gets over intricate. There’s a good cat. I just showed that to a coworker/writer-editor and he cracked up laughing. I bought a copy of this after someone on Twitter had recommended it to me during an exchange about Nancy Mitford’s The Pursuit of Love – it’s still on the shelves, as yet unread. Interestingly, the Anita Loos – Gentleman Prefer Blondes — also came up in the same conversation, so I can understand why Karen mentions it in her response to your review. Irmgard Keun’s The Artificial Silk might make an interesting companion to the Dundy – it’s another distinctive first-person narrative on a similar theme, but the tone is somewhat darker and less frothy. I think you’d find it interesting at some point (if you haven’t read it already). Jacqui: I’ve read neither the Loos nor the Keun, though I saw the MM film of Gentlemen many years ago. Thanks for the tip: I’ll look out for Keun. ‘Frothy’ describes much of the content of this narrative, but the voice, as I tried to show, has glimmers of sagacity and profundity. Or almost Wildean wit; here’s SJ on her stage performances (she’s at times an actor): ‘the question actors most often get asked is how they can bear saying the same things over and over again night after night, but God knows the answer to that i, don’t we all anyway; might as well get paid for it.’ Those colloquial ‘get’ verb phrases only partly disguise the seriousness beneath the wit – which is what distinguishes it from quips or jokes, perhaps. But it’s true that the novel would benefit from a little more darkness to contrast with the light. The unconvincing plot about smuggling and extortion is very half-hearted, not the least dark, even when it tries to be. I have read this but it must have been so many years ago, before the LiveJournal book blog (brought over into my WordPress one) started, as I reference it in a review of her “The Old Man and Me” in 2008. I remember it being breathless and helter-skelter but very skilfully done, though. Liz: breathless and helter skelter it is, mostly in a good way, though the tone becomes a little tedious if read for too long at a time, I found. Great fun though – apart from the daft plot and tacked-on denouement. … comparing her evening dress & pearls look with Audrey Hepburn in Breakfast at Tiffany’s. I think there are criticisms to be made of the book, but I will not be the person to make them, I have a sentimental fondness!